Here is a list of the best Chinese restaurants in Las Vegas - some really cheap, others upscale, so you will definitely find something to your liking. Many of these restaurants offer dim sum, as well as regular menu choices. If you are not familiar with this technique, it works is like this: they wheel food around the restaurant on a cart, and when you see something you like, you order from the cart, and they mark it on a card at your table. Dim sum is usually more affordable than the menu and allows you to sample more ethnic Chinese dishes. Enjoy! Review: Among Chinese restaurants in Las Vegas there are at least 3 locations of P.F. Chang's - a popular Chinese chain restaurant. The one located at Planet Hollywood is the most popular of the locations. They offer consistently great Chinese food, and consistently great service, which is consistent with practically every other P.F Chang's. 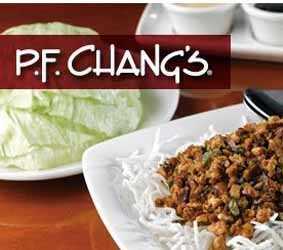 So if you have never eaten at P.F Chang's, trying the one at Planet Hollywood is a must. Remember that the restaurant is located inside one of the most fun hotels in Vegas, so the atmosphere here is quite fun and a bit on the noisy side, so this is not the best place for a quiet romantic dinner. Reviewers are raving about their food, especially Fried Green Beans, Fried Rice, Chicken Wrap With Lettuce, Chow Mien, Salt & Pepper Calamari, Crab Wontons. Review: Jasmine located the luxurious hotel The Bellagio, is among the most upscale and elegant (and expensive) Chinese restaurants in Las Vegas . Apart from delicious food, this restaurant is highly praised for the views of the dancing Bellagio Fountains, which add to the romantic atmosphere of this place. 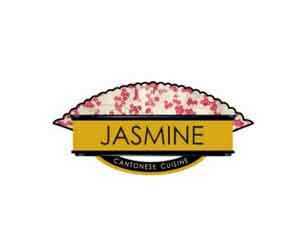 The traditional Chinese dishes prepared at Jasmine are found in Cantonese, Szechwan, Hunan and Nouvelle Hong Kong cuisines. Interesting detail about Jasmine: the restaurant is open for dinner between 5:30 p.m. and 10:00 p.m. and they also offer a Fountain Brunch on Sundays, between 11:00 a.m. and 2:30 p.m. Among highly recommended dishes are Hot And Sour Soup, Lemon Chicken, Chicken Soup Noodles, and Peking Duck. 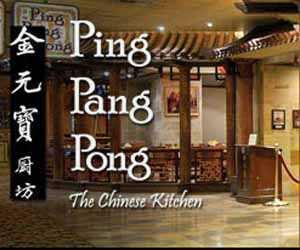 Review: Ping Pang Pong is one of Chinese restaurants in Las Vegas offering great dim sum along with a regular menu. You can't see the prices on the dim sum option, but apparently almost all the items on the dim sum cart are so cheap that the average check for one person comes up at $20. If you do want to order from the menu, the reviewers recommend Shrimp Fried Rice, Orange beef, and Walnut Shrimp. 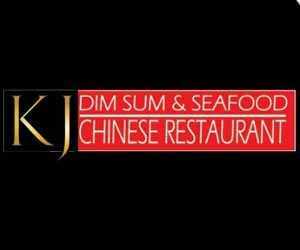 Reviews A recent addition to Chinese restaurants in Las Vegas , KJ Dim Sum & Seafood at Rio has already deserved praise from happy visitors! The restaurant is really beautiful and tastefully decorated, with predominantly red colors and a ceiling reminding of an ocean. This is a great place to get a seafood fix, or come for great dim sum! Among dishes from the menu, visitors recommend Egg Tarts, Kung Pao Chicken, Sweetcorn Soup, Mongolian beef, Pork Shu Mai, and Congee. Review: If you are looking for quiet, beautiful and upscale Chinese restaurants in Las Vegas , try Blossom at Aria Resort & Casino. 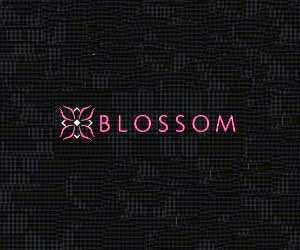 Many people speak highly of both the food and the classy decor at Blossom. This restaurant with beautiful ambiance would be perfect for a quiet romantic dinner. But keep in mind that this is an upscale restaurant, and the food here is quite expensive. Among dishes recommended by the reviewers are Peking Duck, Singapore Noodles With Shrimp, Crispy Fish and Chicken Kung Pow. Hours of operation: Sunday - Monday, Thursday: 5:30pm - 10:00pm; Friday & Saturday, 5:30pm - 10:30pm; Wednesday and Tuesday Closed. Review: What sets Pearl located at MGM Grand apart from other Chinese restaurants in Las Vegas is the service. Many people have commented on how great it was. Waiters here are always on guard and you get refills as soon as you sip from your glasses. 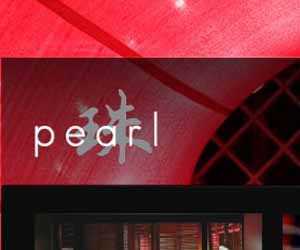 Pearl is an upscale, quite expensive restaurant with a beautiful ambiance and chic decor. Apart from a regular menu, they offer a fixed price tasting menu, which is quite affordable at around $50. Among the highly praised delicious Chinese dishes are BBQ Duck, Soy Chicken, Almond Crusted Lemon Chicken, Beef Tenderloin, and General Tso Chicken. 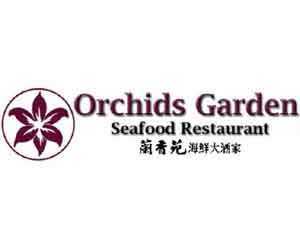 Review: Orchids Garden, located off the Strip, is among the cheapest Chinese restaurants in Las Vegas , with an average check of $15 per person. Many reviewers commented favorably on it's dim sum served all day long. Many called it the best in Vegas. It's traditional menu, however, is more expensive than the dim sum. The following Chinese dishes are among highly recommended: Chow Mein, Steamed BBQ Bun, Broccoli Beef, Pork Balls, and Chicken Feet. 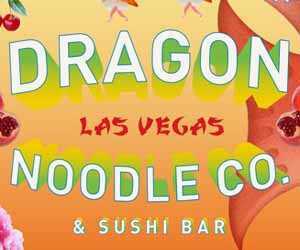 Review: If you are looking for moderately priced Chinese restaurants in Las Vegas, try Dragon Noodle Co. at Monte Carlo. Despite being located in a high profile hotel, this restaurant is quite affordable. Apart from a regular menu, they have a great sushi bar. Reviewers are particularly fond of their Salt And Pepper Calamari, Spring Rolls, Pork Dumplings, Pot Stickers, Mu Shu Pork, and Kung Pao Chicken.